As Californians near the end of the summer season, and with the kids heading back to school, there is no better time and place than right now at Century West BMW to have your BMW sedan, coupe, or Sports Activity Vehicle serviced and ready for the fall season. Maintain the long lasting value of your BMW model and have your routine vehicle service conducted by our certified BMW technicians in Studio City. 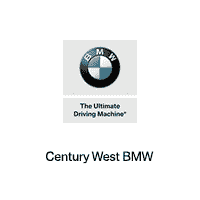 When the time comes for your vehicles regular maintenance or repair, you can count on an expert touch when bringing your BMW into the Century West BMW Service Center. Our professional technicians will cater to year BMW’s every need and treat your vehicle as if it were their own. Whether you require an oil change, battery replacement, tire rotation, brake repair or transmission flush, our technicians go above and beyond when it comes to the operational integrity of your car. Experience a quick and efficient service so you can get back on the road with a safe and finely tuned car. We serve all drivers from the areas of Glendale, West Hollywood, and Los Angeles. Visit our service center in Studio City so you can experience the long lasting value that BMW provides drivers in California. We also have Value service provided so you can save money if you vehicle model qualifies. Schedule today by visiting our service page, or call our service center at 888-533-6616. We look forward to serving you!